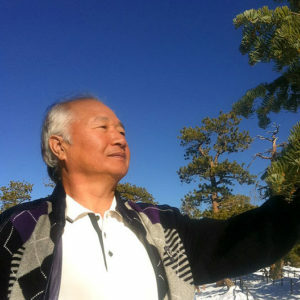 Celebrate Earth Day on April 22 by planting trees, picking up trash and respecting the Earth as Ilchi Lee does in his teachings. Pick up trash in your neighborhood. Don gloves and bring garbage bags to clean up all the fast food bags, dirty cups and other detritus that is clogging up your community. Plant trees. Trees turn carbon dioxide into oxygen, which helps to filter out harmful pollutants from the air and make it more breathable for living beings. 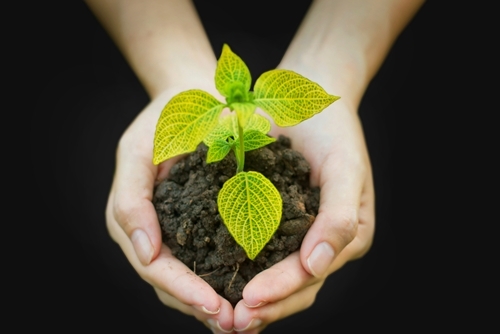 Calculate your carbon footprint to see how much of an impact you are making on the world. Now see if there are ways you can reduce this number, like biking to work instead of driving or purchasing local goods instead of ones manufactured overseas. Visit a nearby shop to buy groceries. Much of what is available at supermarkets and grocery stores comes from faraway places and is made with a lot of packaging. Instead of choosing vegetables that are wrapped in plastic and were shipped in from another state, look for locally-grown organic veggies that come as they are. This will help to protect our natural resources, and reduce waste. Consider purchasing only things that are made with recycled materials. Instead of looking for a new pair of jeans or a blanket for your sofa, seek out items that have been made from other, already existing ones. "This is a beautiful and hopeful time to be alive. We are at a turning point, and your contribution to the world is needed more than ever. All of your struggles, all the struggles of your ancestors, all the struggles of all life have led to this moment right now. You are the culmination of life's great yearning; you are the hope of the world." Ilchi Lee wrote in his book, "Brain Wave Vibration: Getting Back into the Rhythm of a Happy, Healthy Life." Ilchi Lee teaches that it is important to value the Earth as we respect ourselves. Instead of taking this into consideration once a year on Earth Day, keep the thought close to your heart at all times. Treat the planet how you would want to be treated and always look for ways to make a more sustainable world.